CLIP serves children ages 5-18 by providing residential mental-health treatment for a long-term stay that usually lasts 6-12 months. Read on for more information about CLIP eligibility and how to initiate a referral. Governor Jay Inslee in December recommended $675 million in new funding for behavioral health improvements statewide, and policymakers are working on a variety of bills during the 2019 legislative session. Families can contact lawmakers to participate in advocacy. The state has a Stakeholder Advisory Group discussing issues related to Parent-Initiated Treatment. A group of engaged parents participates in a conversation on a Facebook page called Support SB 5706. Studies show that 1 in 5 children will suffer from mental illness. PAVE has additional articles and webinars about mental health education in school, suicide and Social Emotional Learning. Families have few options to help a child with a psychiatric illness that makes in-home, community-based care unworkable. Local hospitals are designed to provide crisis care and generally do not keep a patient for mental health treatment and recovery beyond a few days or weeks. Sometimes those short hospitalizations are not long enough to offer true stability that allows a child to return to school and life with successful outcomes. One choice is to apply for the Children’s Long-Term Inpatient Program (CLIP), a state program that manages 89 beds in five locations throughout Washington. Most CLIP referrals are for children with Medicaid—public health insurance. Families with private health insurance have access to CLIP but may be referred first to private facilities for long-term, inpatient care. Medicaid is the payer of last resort. Who is Eligible for CLIP? CLIP serves children ages 5-18 by providing residential mental-health treatment for a long-term stay that usually lasts 6-12 months. Please note that eligibility for CLIP ends on the child’s 18th birthday. Parents/legal guardians engage with the treatment team while the child is at the CLIP facility. The goal is to help the child stabilize and provide the family with the tools needed for a successful return to the home, school and community. Children attend school while at CLIP, and teachers manage any Individualized Education Program (IEP) or Section 504 plan that travels with the student from the local district. Parents and legal guardians can refer children to CLIP by applying through one of the regional committees positioned throughout the state. Contact information for regional committee leadership is available through the CLIP website. The regional committee meets with the family to discuss the case and determine whether to refer the case to the CLIP Administration for review. The state committee then determines whether to approve the case for CLIP. Sometimes a child is put on a waiting list for an available bed. Please note that families need an organized set of medical and school paperwork to complete CLIP applications. Refer to PAVE’s article about document management for guidance about how to create a care notebook or other filing system for this and other purposes. The regional CLIP committee includes care providers from managed care organizations and other agencies that may provide additional support and resources to the family, regardless of whether a CLIP referral is recommended. Generally, the committee determines that all community-care options have been exhausted before recommending a more restrictive placement through CLIP. The team will also make a recommendation based on whether the child is likely to benefit from the therapeutic program, which is mental-health based and may not be a good fit for an individual with a severe form of developmental or intellectual disability. 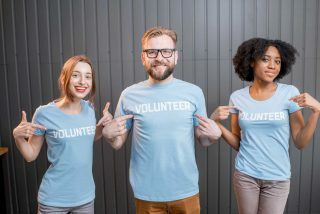 Parents can initiate a referral, but children over Washington’s Age of Consent (13) must volunteer to go to a CLIP facility unless a county Designated Crisis Responder (DCR) determines the child meets the state’s criteria for a 180-day commitment under the Involuntary Treatment Act (ITA). Any persons over the age of 13 in Washington must be imminently threatening to harm themselves or others or be severely gravely disabled, in a state of extreme psychiatric deterioration, to receive an ITA admission to any inpatient facility. State lawmakers are engaged in work to consider changes to the ITA law, and families are invited to contact policymakers if they have thoughts or concerns to share about this initiative or other activities related to treatment access, Age of Consent laws or Parent-Initiated Treatment. Governor Jay Inslee in December recommended $675 million in new funding for behavioral health improvements statewide. CLIP is funded with state and federal dollars. A child’s Medicaid case manager through a Managed Care Organization (Molina, Community Health Plan of Washington, Coordinated Care, Amerigroup or United Healthcare) can provide guidance about CLIP applications. Families also can request further information from a care management team through the Wraparound with Intensive Services (WISe) program, which provides outpatient care coordination for children with intensive psychiatric needs in various Washington communities. A CLIP referral often happens because WISe was unable to help the child stabilize in the home. WISe is managed through the state’s Health Care Authority, and HCA is another source for information about various options for mental healthcare for Medicaid-eligible children, youth and families. Families can reach out to the HCA for further information. Approximately one in five youth experience a mental illness before age 25. About half of those with diagnosed conditions drop out of school. Suicide kills two Washington students each week. These outcomes make adolescence a critical time for mental health promotion, early identification and intervention. A mom in Graham, WA, launched a program to improve education about mental health after her son died by suicide in 2010. The Jordan Binion Project has trained about 500 Washington teachers with an evidence-based curriculum from Teen Mental Health. Emotional Disturbance is a federal category of disability under the Individuals with Disabilities Education Act (IDEA). A student might qualify for an Individualized Education Program (IEP) under this category, regardless of academic ability. To qualify, a disabling condition must significantly impact access to learning. An educational evaluation also must show a need for specialized instruction. Parents can share these resources with school staff, who may be seeking more information about how to help youth struggling to maintain their mental health. The thousands of young people who send thank-you letters to Deb Binion didn’t always believe their lives were going to work out. One writer had attempted suicide and been hospitalized many times because of her bipolar disorder. Two years after finishing high school, she reported she was doing well and offered thanks for a course in mental health that helped her understand her illness, its impacts on her brain, and how to participate in her treatment. “It made a total difference in my life,” she said in her thank-you letter. The program, which Binion started after her son Jordan’s suicide in 2010, has trained about 500 school staff throughout Washington State to help young people understand mental illness and what to do to support themselves and others. Although the numbers are difficult to track, Binion estimates that about 100,000 Washington students receive education through the curriculum each year. “My mission is to get this information to the kids,” says Binion, who runs the non-profit Jordan Binion Project from her home in Graham, WA. She says a short-term, limited pilot project with the Office of Superintendent of Public Instruction (OSPI) showed promising results, with 60 teachers throughout Washington informally reporting that about 85 percent of students showed improvement in their “mental health literacy,” a key feature of the program. The curriculum, available through TeenMentalHealth.org, was developed by a world-renowned adolescent psychiatrist and researcher, Stan Kutcher. He observed that classrooms often struggle to provide an emotionally safe learning environment for students with psychiatric conditions. Some attempts to provide education about mental health have created confusing and triggering circumstances for students impacted by illness and/or trauma, he found. Deb Binion says the program was designed for students in grades 9-10, but middle-school and older students are also learning from it. She says the program takes about 8-12 hours to teach and that teachers in regular health classes, psychology classes, family and consumer science classes and others have taught the lessons. Binion suggest that staff receive in-person training to understand how to create a safe learning environment for students. For example, teachers learn to provide individualized help without disclosing a student’s disability or medical condition to the class. The topics can be confusing or triggering to some learners. Some of the videos might be difficult to watch because they include personal stories of self-harm, hospitalization and people suffering from emotional stress. The program may need individualized modifications for students in special education programs because of intellectual or developmental disabilities. For information about how to bring a training to your area, individuals can contact Deb Binion through the Jordan Binion Project website or directly through her email: deborah@jordanbinionproject.org. OSPI, which oversees all school districts in Washington, provides an overview of Kutcher’s work and its connection to the Jordan Binion Project as part of the Mental Health & High School Curriculum Guide. Content in the guide was a collaboration between Kutcher and the Canadian Mental Health Association. At Dalhousie University in Nova Scotia, Kutcher serves as Sun Life Financial Chair in Adolescent Mental Health and Director of the World Health Organization Collaborating Center in Mental Health Training and Policy Development. Washington State is aware that a lack of mental health services is impacting students. Last year OSPI released data that two children enrolled in Washington schools die by suicide weekly. According to a 2016 Washington Healthy Youth Survey, about 15 percent of teens in the state report that they have made a suicide plan. About the same percentage report that they don’t have adults to turn to when they feel depressed or anxious. The survey asked about sadness and hopelessness and whether the feelings could interrupt life for at least two weeks. About a third of the teenagers responded yes. The Centers for Disease Control reports that rates of completed suicide are rising in every region. An OSPI survey in 2018 found that the number one concern statewide is that students don’t receive enough direct support in mental health, counseling and advising. Lawmakers are addressing a variety of bills during the 2019 legislative session related to mental healthcare and education. 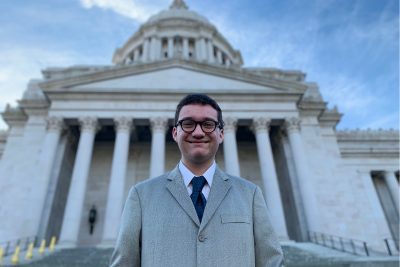 The public can contact lawmakers to participate in advocacy, and PAVE’s Washington Parent Training and Information Facebook page provides updates about some state actions that may impact families and students. The Teen Mental Health website cites an international statistic that 1 in 5 youth experience a mental illness before age 25. Many of those illnesses lead to life challenges that require help, the agency concludes, and this makes adolescence a critical time for mental health promotion, prevention, early identification, and intervention. The agency provides a School-Based Pathway Through Care that promotes linkages between schools and healthcare agencies, parent involvement and strong educational programs that reduce stigma through knowledge and timely treatment access. One way that Washington State has responded to the crisis is through promotion of trainings in Youth Mental Health First Aid. Through Project AWARE (Advancing Wellness and Resilience in Education) and other initiatives, Washington has grown a network of about 100 trainers for Youth Mental Health First Aid and about 4,000 first aid providers. These trained individuals can listen actively in order to offer immediate caring and can also refer youth to providers. OSPI reports that Project AWARE has led to 3,964 referrals for youth to connect with community- or school-based mental health services. Washington has a program for treatment response for youth experiencing psychosis. The New Journeys Program is designed for youth 15-25 who are early in their diagnoses, but there is some flexibility in who might be eligible to participate. Families can contact the program for additional information about how to apply. Information about psychosis, early warning signs and places to seek help are available through the website of the Washington Health Care Authority (HCA). The website contains a link to information about the Wraparound with Intensive Services program (WISe), which provides community case management for children and youth experiencing a high-level of impact from a mental illness. Students access some aspects of mental health support through the special education system. Emotional Disturbance is a federal category of disability under the Individuals with Disabilities Education Act (IDEA). In Washington State, the category is referred to as Emotional Behavior Disability (EBD). The IEP might list any set of these words or the initials EBD or ED. A student might qualify for an Individualized Education Program (IEP) under this category, regardless of academic ability. 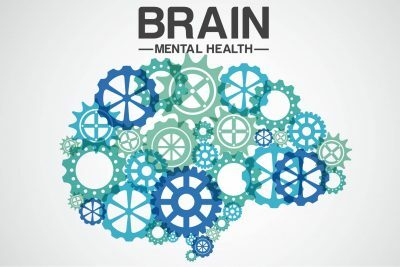 A comprehensive educational evaluation can determine whether a student’s mental condition causes a significant disruption to the student’s ability to access school and learning and whether the student needs specialized instruction. Generally, that specialized instruction is provided through a category of education known as Social Emotional Learning (SEL). SEL can be provided in multiple tiers that might include schoolwide education, small group training and individualized programming. OSPI provides recommendations from a 2016 Social Emotional Learning Benchmarks Workgroup. A student with a mental health condition also might qualify for an IEP under the category of Other Health Impairment (OHI), which can capture needs related to anxiety, ADHD, Tourette’s Syndrome or another specific diagnosis. 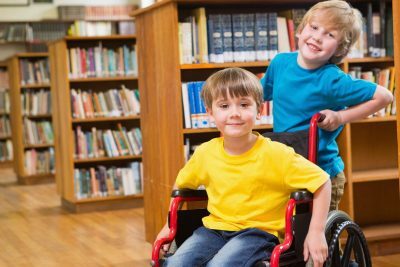 Students with a mental health condition that co-occurs with another disability might qualify under another category, and Social Emotional Learning might be an aspect of a more comprehensive program. PAVE’s articles about the IDEA and the IEP provide further information about IEP process, the 14 categories of qualifying disabilities and access to special education services. A student with a mental health condition who doesn’t qualify for an IEP might qualify for a Section 504 plan. If a student, because of a disability, is not accessing school and learning, then the school district holds the responsibility for appropriately evaluating that student and determining the level of support needed to provide access to a Free Appropriate Public Education (FAPE). Questions about FAPE might arise if a student with a mental health condition is not accessing school because of “school refusal,” which sometimes leads to truancy, or because a student is being disciplined a lot. Students with identified disabilities have protections in the disciplinary process; PAVE provides an article about school discipline. The Center for Parent Information and Resources (ParentCenterHub.org) has a variety of resources related to mental health awareness, including a link to a video that details results from a national study. The study showed that students who qualified for special education programming because of Emotional Disturbance experienced the highest drop-out rates when they went into higher education, work and vocational programs. Meaningful relationships with adults who cared about them in school provided a significant protective factor. Students were more likely to succeed in life-after-high-school plans if specific caring adults provided a soft hand-off into whatever came next after graduation. NBC featured the Binion family and the work of their foundation. OSPI provides schools with resources related to mental health education, including information related to suicide awareness and prevention. PAVE provides a 40-minute webinar about suicide awareness. The state currently is considering a bill to improve funding for counseling services and other bills that would boost education around mental health. PAVE provides additional information about Social Emotional Learning (SEL) and state actions related to SEL programming and staff development in a series of three articles. A federal agency called the Child Mind Institute provides parents with guidance about getting good mental-health care for their children and has articles on specific diagnoses and what parents and schools might do. For 1:1 assistance, families can reach out to PAVE’s Parent Training and Information Center through our online Help Request Form or by calling 800-572-7368. Songs in the store tell us this is the “hap/happiest” time of the year, but for people who have experienced trauma this season can trigger difficult emotions. For children with disabilities, those emotions can be particularly complex and confusing. Unexpected behaviors might show up at home or at school, especially when routines are disrupted. Helping children understand their emotional responses to difficult circumstances is part of education, and schools are adopting new strategies around Social Emotional Learning (SEL). Social and emotional skills can be analyzed through educational evaluations, and the Individualized Education Program (IEP) establishes specific programming and goals around SEL for children with deficits in those areas. A Functional Behavior Analysis (FBA) is another tool for determining what supports a child needs to behave in ways that are “expected” for success at school. The FBA leads to design of a Behavior Intervention Plan (BIP), which provides specific guidance to school staff for positively reinforcing expected behavior. When designing behavior plans, parents and school staff may need to discuss whether unexpected behaviors are the result of trauma and/or overwhelm. Strategies for helping may need to consider whether rewards and punishments will work if behaviors are related to emotional dysregulation and fight/flight/freeze responses to internalized and persistent anxiety. Formed Families Forward, a community and family-focused resource center in Virginia, provides a video series to help families and professionals better understand trauma and how to respond. The agency’s website also provides a resource collection related to trauma-informed approaches in multiple environments. The Office of Superintendent of Public Instruction (OSPI), which oversees Washington school districts, has developed curricula to help school staff teach children how to understand their emotions and become more skillful in social communication. PAVE’s website includes a three-part series of articles about the state’s initiatives and research related to SEL. Those articles include practical tips and a variety of additional links to further information. Everyone can help create a calm environment. Best practice is to exhale long and slow, triggering the body’s relaxation response. Your feeling of calm can help someone else relax. Try it! Take 5 breaths, focusing on a long, slow exhale through your nose. Notice how you feel. If you feel calm, consider sharing that feeling with someone else through a loving smile, soft eyes or even a hug! Even if this is not the hap/happiest time of your year, give yourself permission to relish a simple moment of contentment or curiosity when you pause to breathe. Without a doubt, one of the most stressful situations you can face as a parent is the hospitalization of your child. Whether it is a planned stay, like a surgery, or an unplanned event, parents are bombarded with a huge number of shifts in their day-to-day life and priorities. Parents are also expected to step in and provide a lot of the care a child receives in the hospital once they are back home and that can be extremely overwhelming. While the purpose of this article is for families with a child who is medically fragile or has a life-threatening diagnosis, it is also meant to offer ideas for the unexpected and planned hospitalizations that can occur in all our families. Hospitalization and Emergency Room (ER) visits for many families with a child who is medically fragile or has life-threatening diagnosis is an ever-present possibility. The hope is to provide some tool kit examples and some ideas to ease the transition back home. As a parent who has spent a lot of time in ERs, Intensive care units, and the medical floor during hospital stays, I have found that I was better prepared for what was going on and the transition back home when I asked questions and shared what home was like with the doctors, nurses, and therapists. I also found that the hospital social workers were my best friends when it came to asking about support for me as a parent. Even before you talk with the discharge planner check in with the social workers. They often have information about support groups, outside therapists/home help, vouchers, and financial supports that you don’t have the time to think about while your child is hospitalized. Building relationships and the supports for you with the staff caring for your child can help ease some of the overwhelming confusion. Especially when there is an extended medical emergency or complex surgery with a long recovery. Keep a small notebook to write down and track what doctors and nurses do, and record the answers to your questions when you ask them. If you have a smart phone, there are multiple apps for this on both iPhone and android platforms. Most important of all is making sure you take time for you and self-care. This is often the hardest part and frequently we know it’s what we need to do and focus on other pressing priorities. Remember, when you take time to renew it helps you be there for your family. While your child is hospitalized, the nurses are there to take care of them, so find ways to re-charge. Take breaks and find quiet time for yourself because once you get back home you are often the nurse and parent. These tools have been a great help in supporting my family with multiple hospitalizations and it is my hope they will be useful for you too! Developmental screening is the practice of systematically looking for and monitoring signs that a young child may be delayed in one or more areas of development. Screening is not meant to establish a diagnosis for the child, but rather to help professionals and families determine whether more in-depth assessment is the next step. By using a high-quality screening tool, professionals can screen children for delays accurately and cost-effectively. Think about your child’s first months. The medical professionals set up regular “Well-child” appointments just to monitor how your child is doing. These “Well-child” visits allow doctors and nurses to have regular contact with children to keep track of the child’s health and development through periodic developmental screening. Developmental screening is a simple process that can have both informal and formal assessments. When using a tool that is more formal in nature, the short test can tell if a child is learning basic skills when he or she should, or if there are delays. Developmental screening can be done by other professionals in health care, community, or school settings. We have heard many times over the years that a child’s greatest window for development is in the first five years of life. Eighty-five percent of the brain’s development occurs before age three, making the first years of life critical to a child’s future success. The research shows that early intervention greatly improves a child’s developmental and social skills. Early intervention services help children from birth through 3 years of ages. Services usually include the support of an early educator who works with the family, as well as therapy (if identified as a need) to help the child talk, walk, and interact with others. It’s not uncommon for parents to become concerned when their little one doesn’t seem to be developing within the normal schedule of “baby” milestones. You may worry that he hasn’t rolled over yet, or that he isn’t doing what the neighbor’s child, who is about the same age is doing. There may be concerns about your baby sitting up or beginning to verbalize words and sounds. While it’s true that children develop differently, at their own pace, and that the range of what’s “normal” development is quite broad, it’s hard not to worry and wonder. If you think that your child is not developing at the same pace or in the same way as most children his or her age, it is often a good idea to talk to your child’s pediatrician. Explain your concerns. Tell the doctor what you have observed with your child. The doctor or other professionals might ask you some questions they may also talk and play with your child to see how he or she plays, learns, speaks, behaves, and moves. A delay in any of these areas could be a sign of a problem. You can also get in touch with your community’s lead agency for birth-to-three services, and ask for an evaluation to see if there are possible delays. Based on referrals from the Doctor and the evaluation provided by the early intervention team, your child may be eligible for early intervention services, which will be developed with you and will address your child’s special needs. Screening is a simple process that can identify infants and young children who may be at risk for health, developmental, or social/emotional problems. It identifies children who may need a health assessment, diagnostic assessment, or educational evaluation. “Screening” means using a standardized instrument. This could include a parent questionnaire, observational process, or other form of measurement that has been validated by research to learn more about the child’s development. Using a standardized instrument is much more effective for identifying real concerns or delays than just using professional judgment or informal questions about the child’s development. The screening process provides an opportunity for young children and their families to access a wide variety of services and early childhood programs. It also supports the parents’ understanding of their child’s health, development, and learning. The developmental screening and evaluations can lead to the involvement of a Family Resource Coordinator who will walk with the family through those first three years. They do a family needs assessment, if the family wishes to have one done. This helps identify areas the needs and priorities of the child’s family. Family-directed services are meant to help family members understand the special needs of their child and how to enhance the child’s development. The need to provide early intervention is significant. 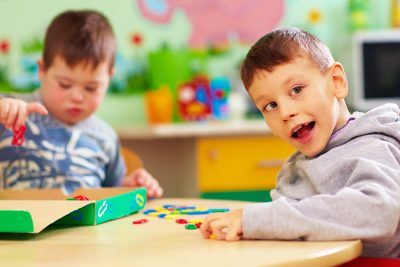 Many children with developmental delays are not being identified as early as possible. This can result in these children waiting to get the help they need to do well in social and educational settings until they are in a school or pre-school setting. Research has shown that in nearly one in six Washington kids has a developmental delay, but only 30% of these children are identified before starting kindergarten, when early support services are most effective. Additionally, research has also identified that in the United States, about 13% of children 3 to 17 years of age have developmental or behavioral disabilities. These can include autism, intellectual disabilities, and attention-deficit/hyperactivity disorder. Additionally, there are children who have delays in language, social skills, or other areas that affect school readiness. This same research found that many children with developmental disabilities weren’t identified before age 10. These types of delays have significant implications since by that age there are significant delays that might have been addressed earlier and provided opportunities for services and support that was missed. Because of the rapid growth in a child’s first three years of life, early support and monitoring of child development is essential for these children to reach their full academic potential as well as social and personal success. In all cases, kids will experience greater success academically, socially, and personally if delays are caught early and kids and families get the support they need. Free developmental screening using the Ages and Stages Questionnaire-3 screening tool is one of the best ways to get more awareness of what can help your child. In addition to the Ages and Stages survey a terrific tool and support network has been established called “Within Reach”. 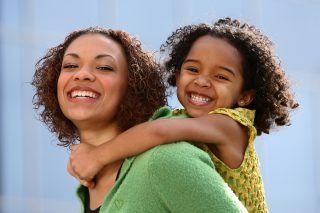 The “WithinReach” website is committed to supporting optimal child development of all Washington families. Through the “WithinReach” Family Health Hotlineand Child Development program, families can access free developmental screening, connections to early learning and family support and referrals to early intervention for developmental delays. If you would like a free developmental screening for your child or have concerns about your child’s development, it is as easy as calling their Family Health Hotline (800) 322-2588 or visiting their website at www.ParentHelp123.org. Remember that as important as Developmental screening is as a part of early intervention, can go also be important in assuring that the needs of children of older ages also find success and resources. Developmental screening for older youth can include areas of the individual’s development in mental health, social and emotional needs, and communication needs, just to name a few. Developmental screening will help assure that the needs of the individual whether an infant or an older child, can be met, and how those needs can be met. As parents and family members we have a responsibility to help our children thrive and developmental screening can help us know which path to follow to make that happen.